Studying abroad in France has been a dream of mine since I was in middle school. French has always been one of my favorite classes, and I distinctly remember the day when my friend’s sister (who had studied abroad) told me that if I could study abroad in the future, it would be the best decision I ever made. Fast forward to my sophomore year of college, and here I am in Paris, thankful and excited to be here after many more years of studying French, with my aspiration to study abroad no less radiant than back then. The day of my flight, I was extremely excited. I took a plane overnight, landing in Paris in the morning and basically missing a whole night of sleep with the six-hour time difference. Thankfully, I stuck to my goal of staying up that whole day and only going to sleep that evening (which is the best advice for avoiding jet lag – it worked!). The day of my arrival, I was greeted by my really kind and welcoming host mom, who gave me a tour of the neighborhood and plenty of food. She even prepared a special “apéritif” before dinner to celebrate my arrival. Since classes weren’t scheduled to start until a week later, I tried to make the most of my time by doing some sightseeing around Paris. 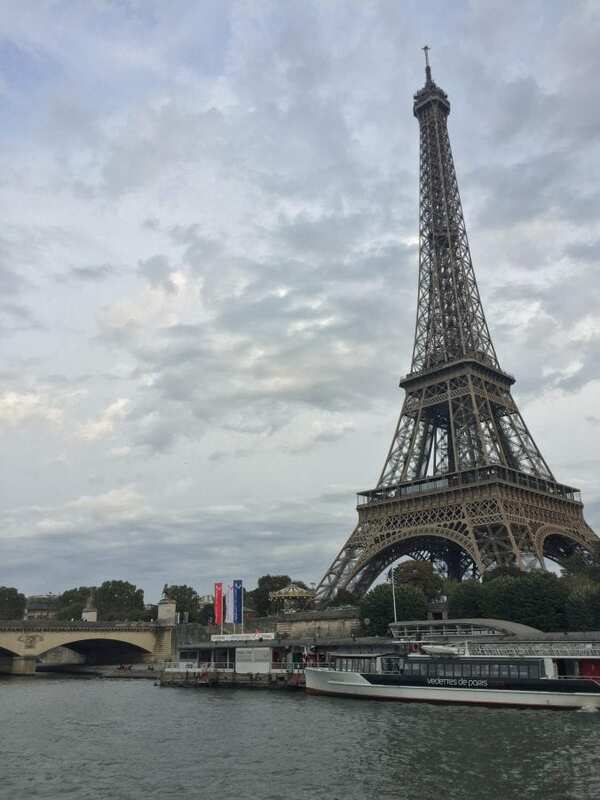 I floated down the Seine on a leisurely boat ride, which was a beautiful overview of all the major sights along the river, such as the Louvre Museum, Notre Dame Cathedral, and, of course, the Eiffel Tower. I also ambled among the thousands of graves in the peaceful and enormous Père Lachaise Cemetery, where I tracked down the tombs of famous figures such as the pianist and composer Chopin, the French singer Édith Piaf, and the French Impressionist painter Georges Seurat. I also popped into the majestic Louvre for two hours for an overview of its major works and took a day excursion to the quaint town of Giverny to see the Impressionist painter Claude Monet’s luscious gardens, inspiration for many of his works. Among settling in and sightseeing, by far the best part about studying abroad has been the feeling of fitting into daily Parisian life, such as going to the boulangerie to buy the daily baguette for dinner, using the metro to get to school, and walking down the busy streets, listening to the sounds of scooters and the French language, able to appreciate the feeling of becoming comfortable in this magnificent city while knowing that I’m not just a temporary tourist who has to leave in a few days. I even gave a lady directions when she came up to me and asked me where a certain street was. It’s also been an incredible opportunity to improve my French, especially since I talk to my host mom every day and make a point to write down new words and phrases I learn in a journal. Of course, there have been small challenges, such as finding my way via metro and walking (thank goodness for Google Maps); having to search far and wide for a school notebook with pages that aren’t criss-crossed with gridlines, which is normal here; and having to reschedule a class last minute due to a cancelation – but adapting is all part of the experience and fun of studying abroad. So far, this adventure has definitely met my expectations, and I can’t wait to see what the next few months hold!